tiles from last week’s firing have been assembled on galvanised iron and drift wood to make them weather resistant for hanging outside possibly? the three panels above are hoping for a new home for christmas!! 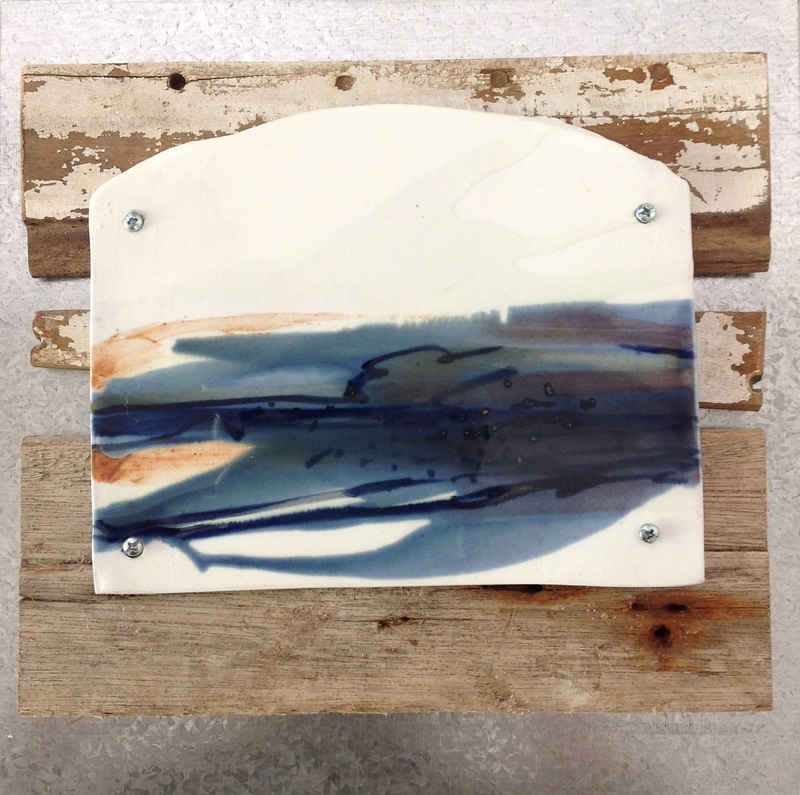 tiles are made from stoneware, porcelain or sometimes raku ..to be part of a collage, a standing piece or framed. I enjoy the flat surface to paint on with slips, oxides, underglaze colours and glaze.